I'm new to smoking cigars and wanted to try some different cigars. This was a nice pack to try. If you never tried Montecristo cigars before then you have missed an outstanding smoke. So glad I purchased this sampler pack. All are great cigars. Have only had 1 so far and I must say I was impressed. Solid cigar. I'm no expert, but I did enjoy. Will get more when my humidor has more room. Discount for troops is awesome! Sent these to my son who is serving in Kuwait. He shared them with the crew and they are absolutely loving them. Love the discount to APO addresses. You guys rock by supporting the troops. 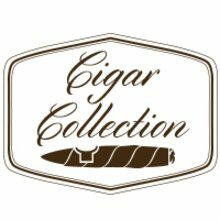 My review is basically for JR Cigar, the Montecristos are great also but I really wanted to give a shout out to JR for giving the discount to orders for our sons and daughters serving out country! Was looking forward to these. Good consistent burn and ash, but ...I just could not get a good mouthful without sucking repeatedly. when I did get the smoke, it was almost tasteless. only tried 3 of the five, but the they were almost identical. I'll stick to my Avo's for now, and try some other brand,s. The MMontecristo white was amazing. Perfect burn and wonderful flavors. Fantastic construction all around. So consistent and always a great draw. Wrapper can sometimes be a bit sloppy but it doesn't take away from the experience. Love this brand. As always, Montecristo cigars are great. This was no exception. Plus it's a great value as well. Consistent draw and flavor. I am biased because I love Montecristo but this was a lot of bang for the buck. If you are interested in trying Montecristo's then this is for you, especially the White Series and Platinum. The Platinum is a very smooth smoke but it is not boring like some others. Fantastic package. It's a great brand. Excellent variety of Montecristos. This is one of my favorite go to sample packs. I hope they keep the price reasonable. It's just enough to get you interested in one of the lines. Alway enjoy the variety of strengths in this Montecristo pack. If you have never tried a Mintecristo here is your chance to sample what I call a good variety of their line. There is something in here that should please just about any smoker. Well worth a try. Can’t get enough of these babies! Whites and Platinum are my favorites and are typically the higher end, this sampler is for those who love Montes and those looking to fall in love. This sampler is awesome. Great mix of some of the best Monte has to offer. The white is by far my fav, very creamy. Montecristo is the best cigar on the market. This is a great way to try different montes without having to break the bank. Will definitely buy again.